I have been looking at a lot of underwater photography, specifically people floating, diving and swimming underwater. 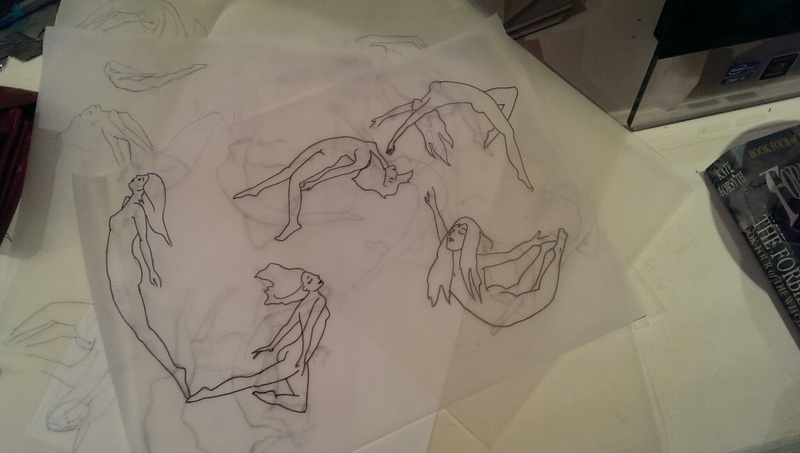 I want to capture the delight of being underwater, that weightlessness in the poses. I'm planning a series of etchings that mentally i'm calling the Mirror series. 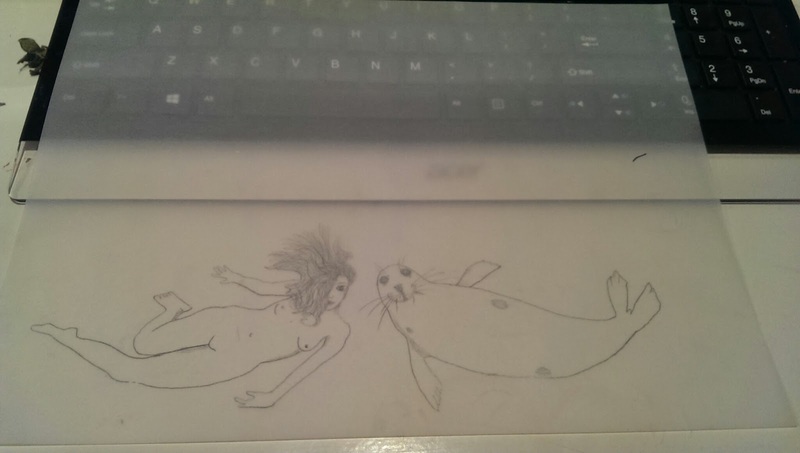 I want a selection of underwater poses that are "mirrored" slightly by the seals (see the lower image), suggesting the dual nature of the selkie. Now to work on the seals.